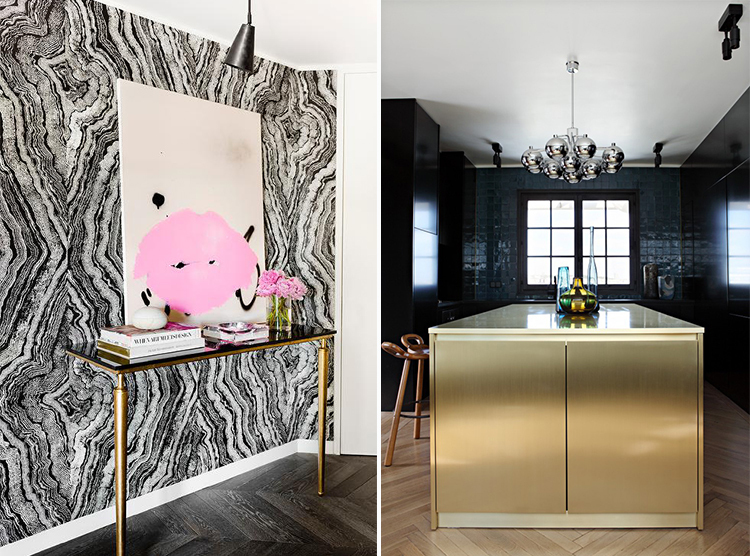 I have a theory about decor trends: when you can only find something at a second-hand store for $17 or a highly curated online vintage shop for $7000, that trend is on the upswing. Which brings me to black and brass (a combo I’ve long loved) done Hollywood regency style. I found a high gloss black cabinet at Habitat for Humanity’s ReStore a couple years ago. It was straight out of the ’70s in the best way possible — it has rounded edges, brass piping and matching brass hardware. It was in flawless shape, right down to the glass cabinet doors, as if someone had it in storage for decades and only just brought it out. It cost me a whopping $17. Pamono has something similar (above left), though its price tag is much beefier and the shipping alone is $600 (then again it is coming from Belgium). 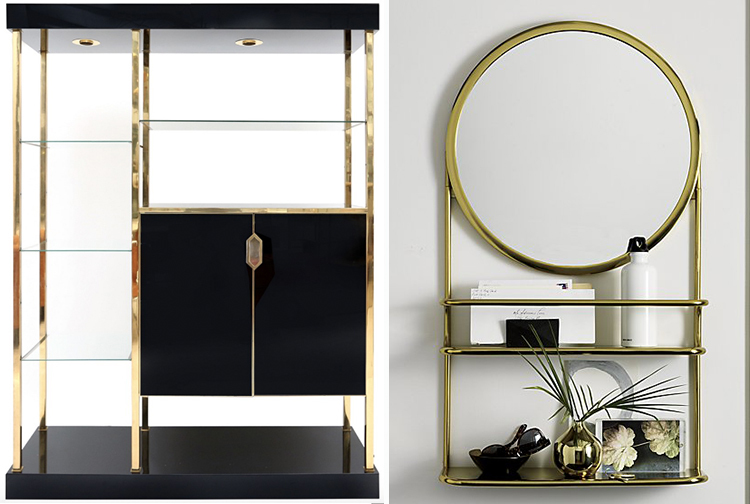 And now, CB2 has come out with a brass mirror and shelf combo (above right) that has my (your?) name on it. My new theory? You’ll be seeing a lot more of this look in stores. And maybe even in your home. Who’s as addicted as I am?